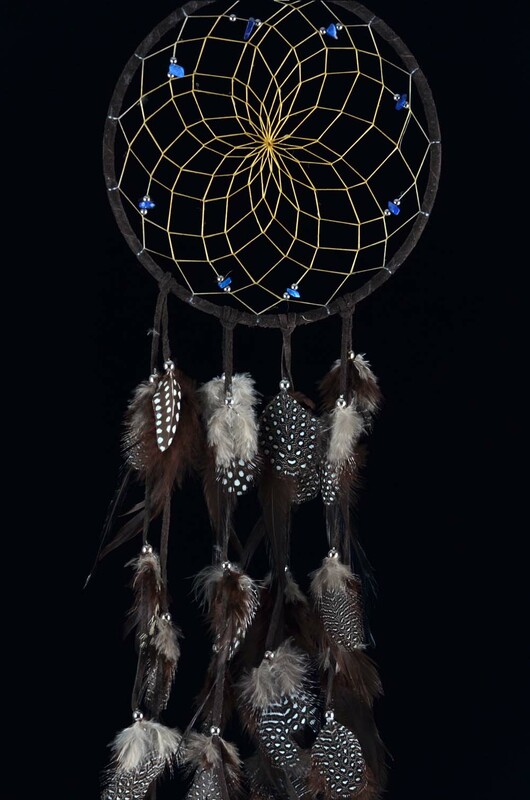 This 6 inch leather wrapped dreamcatcher has a sinew web adorned with semi precious stone chips that sparkle when the light hits them. 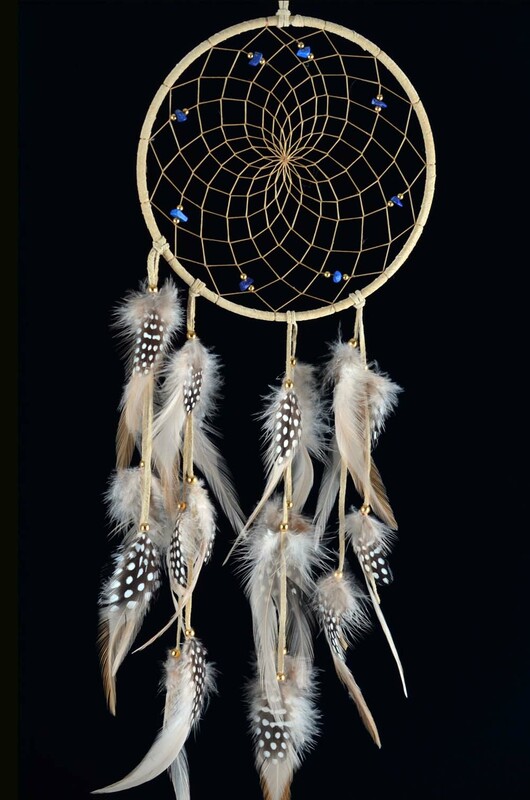 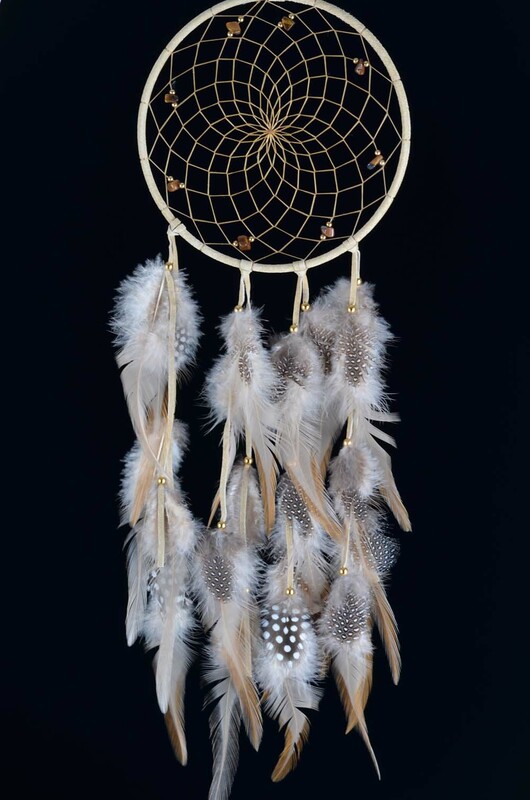 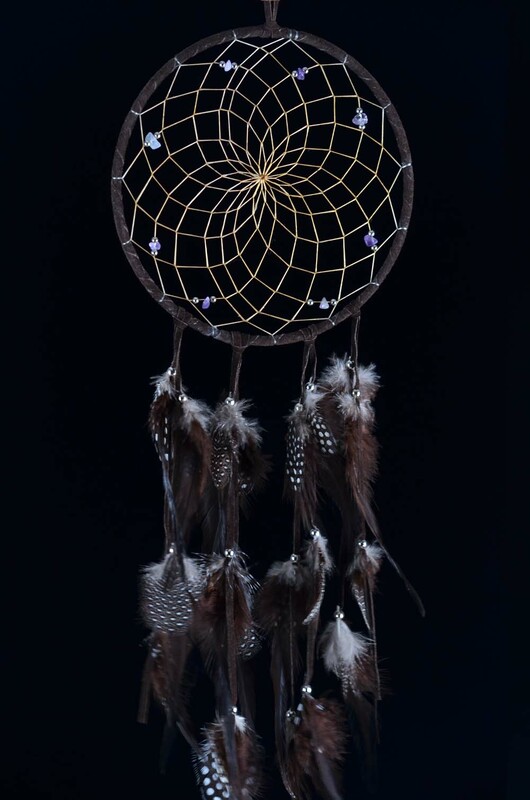 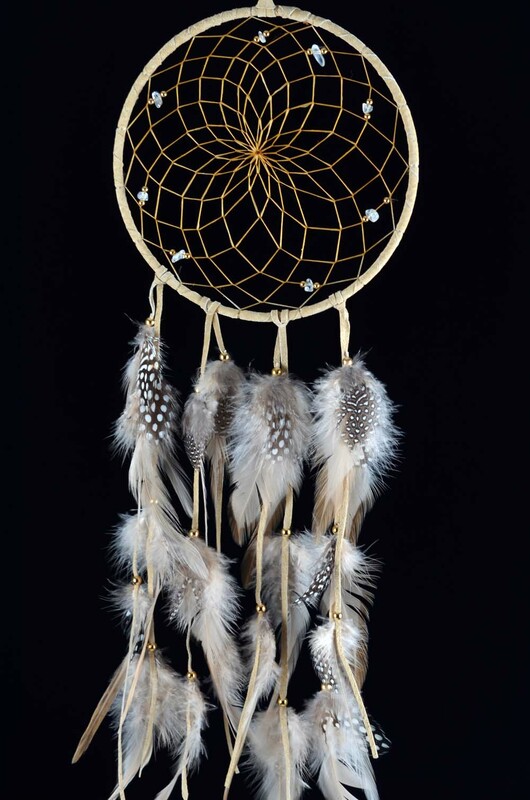 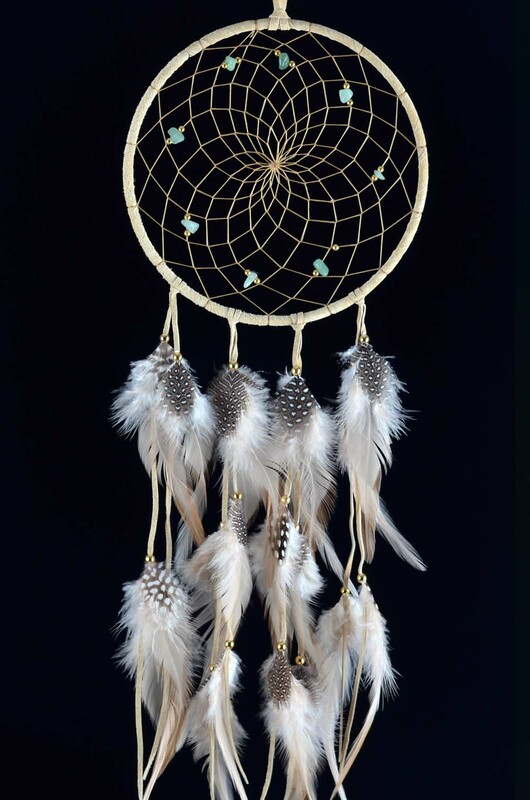 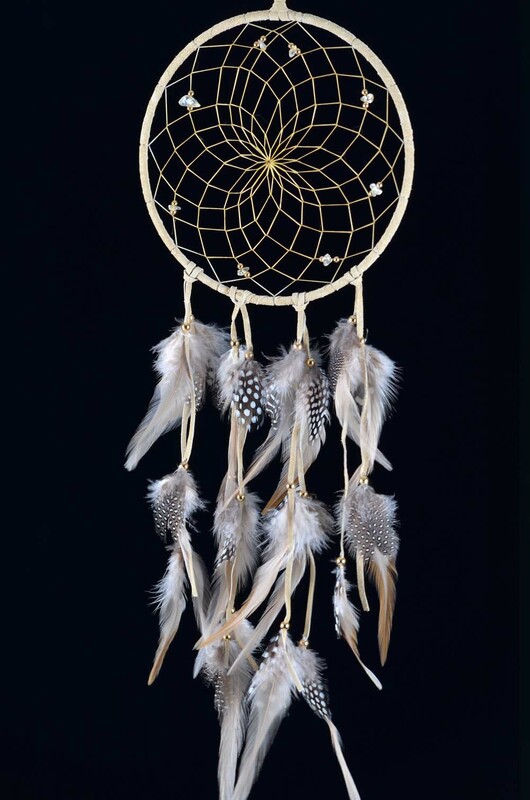 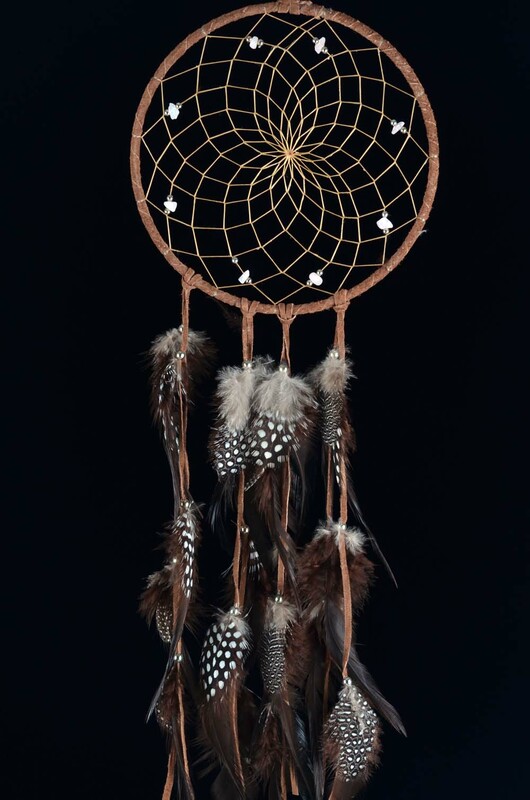 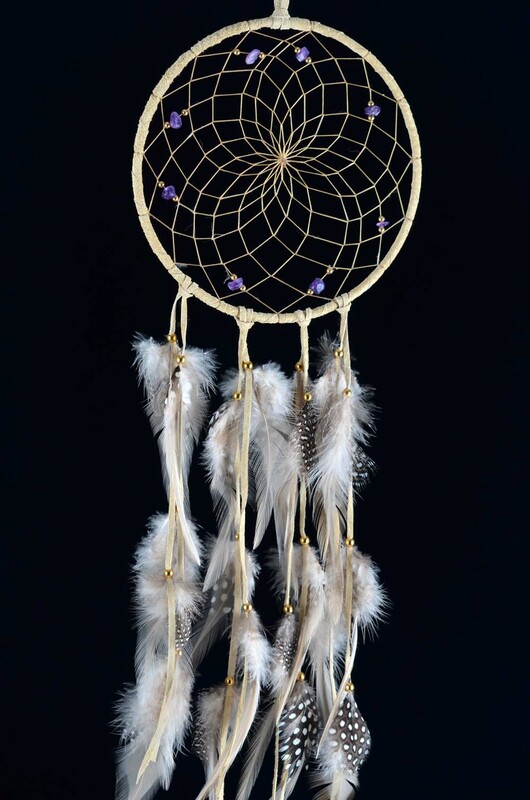 Leather strands with metal beads and hackle feathers dangle beneath making this an elegant dreamcatcher that will enchant your space while helping to ensure a night full of good dreams. 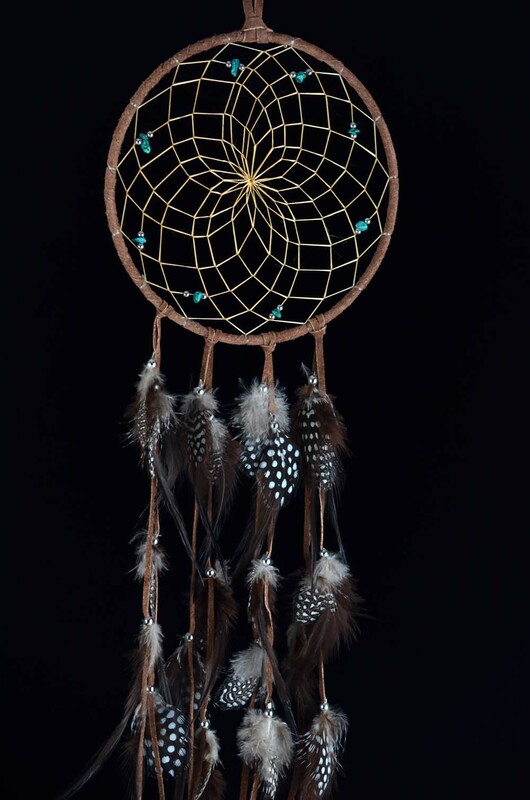 This is one of our most sought after dream catchers because you can choose both the color of the leather and the stones you wish to have in the webbing. 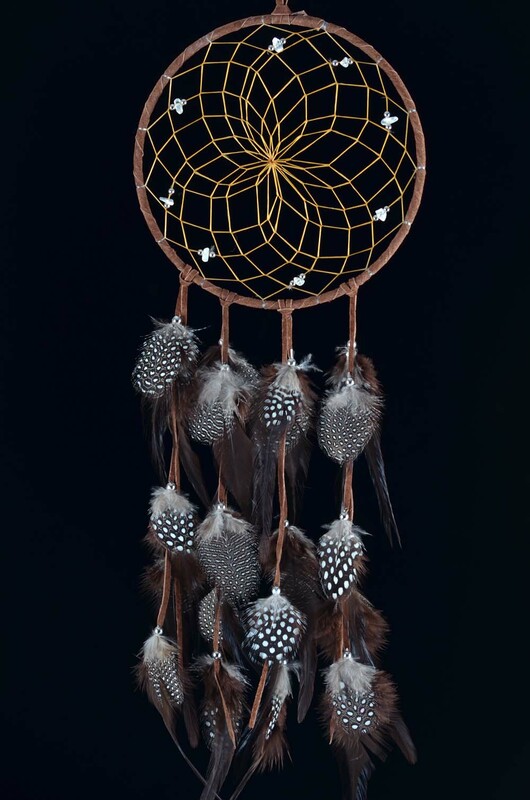 Available in brown and tan.